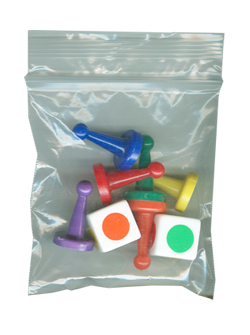 Pre-Bagged Game Pieces: Game Pieces Bagged in Sets to Meet Your Game Needs and More! 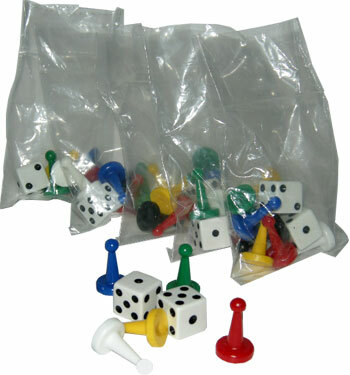 Our Pre-Bagged Game Pieces offer an economical and convenient way to meet your game component needs. 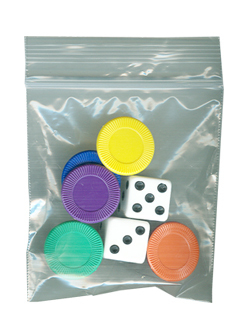 Each bag of game pieces comes heat-sealed in a clear plastic bag or enclosed in a zip-top clear plastic bag. 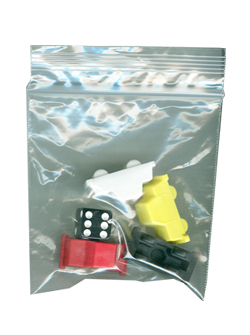 We can make Bagged Game Piece Sets from any of the Game Parts you see on our website – see examples below! Note: If your sets are intended for use by children, we can add choking hazard warning labels to your bagged sets for $0.07 per set. Please call 1-800-980-0403 to order. 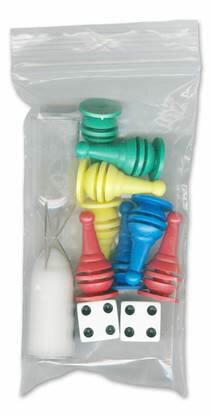 If the Bagged Game Pieces you are looking for are not listed below, please contact us for a custom quote! 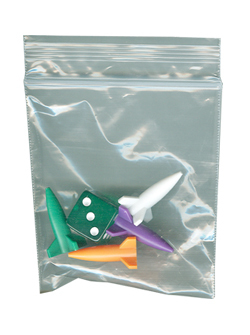 To order Custom Bagged Game Pieces or bagged sets that have warning/choking hazard labels for children, please call 1-800-980-0403. For children's warning labels please add 7 cents additional per set. Call 1-800-980-0403 Today for a Quote!